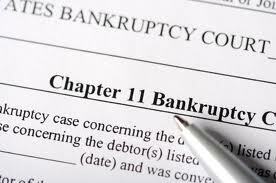 It is possible to finance a commercial property in Chapter 11 bankruptcy, but only with the court's permission. Suppose the Jones family is in the business of manufacturing widgets. The Jones family owns the industrial building occupied by Jones Widgets, Inc. The property is worth $1 million. Suppose further that Hometown Bank has an existing $400,000 first mortgage on this industrial building, and the loan has matured. The Jones family therefore has to obtain a new first mortgage to pay off the $400,000 balloon payment. Peter Jones therefore applies to First National Bank of Hometown for a new loan to pay off the balloon. Several months go by, and the maturity date comes and goes; but Mr. Jones assures Hometown Bank that his refinance is almost completed. Suddenly, for no justifiable reason, First National Bank of Hometown decides not to make the loan. Now Peter Jones is in trouble. Hometown Bank has filed for foreclose, the foreclosure sale is in one week, and he is in danger of losing a $1 million property for a lousy $400,000 loan! Fortunately the government has a procedure where creditors (lenders) can be held at bay while a solvent family or business rearranges its finances. This procedure is called a Chapter 11 Reorganization Bankruptcy. While filing bankruptcy will smear the credit and good name of the Jones family, it sure beats losing $600,000 in equity. Now the $24,000 question. Can the Jones family get a loan to pay off Hometown Bank while they are in a Chapter 11 Bankruptcy? The answer is yes, as long as they get the court's permission. Be careful here. It is not the bankruptcy trustee's permission that you need. It is the court's permission! A letter from the bankruptcy trustee will NOT suffice. While a debtor, here the Jones family, is in a Chapter 11 Bankruptcy, they are no longer the legal owners of their assets. Those assets are owned by the bankruptcy court trustee in trust for the unpaid creditors. Fortunately the Jones family gets to keep living in their home, driving their cars, and Jones Widgets, Inc. gets to stay in the industrial building while the Jones family is in Chapter 11 Bankruptcy. This is because there is a presumption that the Jones family will be able to sell off some of their assets and pay all of their creditors. Therefore they get to keep their stuff ... at least for awhile. They are called debtors-in-possssion (of the assets). While a hard money commercial mortgage lender (like Blackburne & Sons) would be happy to make a $400,000 loan on a $1 million building to pay off Hometown Bank, Peter Jones no longer has title to the industrial building in order to give the lender first mortgage title. But all is not lost. 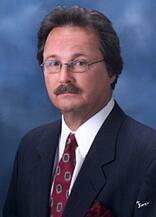 The hard money lender merely issues a commitment letter that the Jones attorney will take to the bankruptcy court. The court will smell the deal, make sure that there is enough money to pay everyone, and then give it's legal blessing (in the form of an order). The Jones attorney will give a copy of the order to the hard money lender and the title insurance company, and the hard money mortgage company will make the loan. If you own a commercial property, and you are in bankruptcy, you can apply directly to Blackburne & Sons by clicking on this easy mini-app.